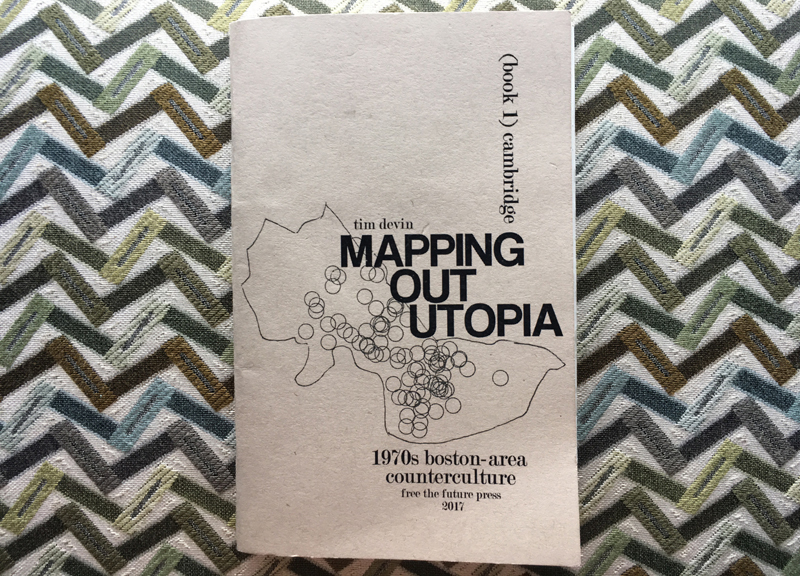 MAPPING OUT UTOPIA is a three-part look at the Boston area's 1970s counterculture, based on listings found in old countercultural directories and magazines. 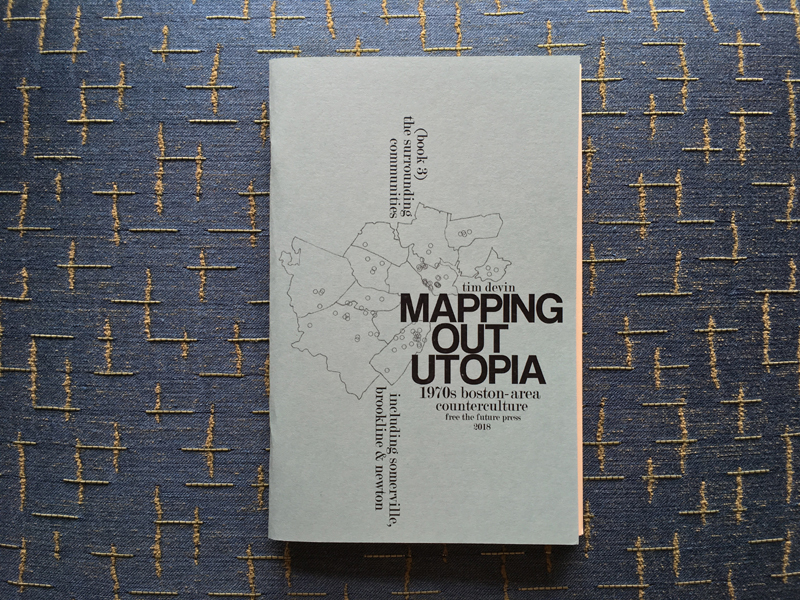 Each volume of MAPPING OUT UTOPIA maps out a different part of the city. 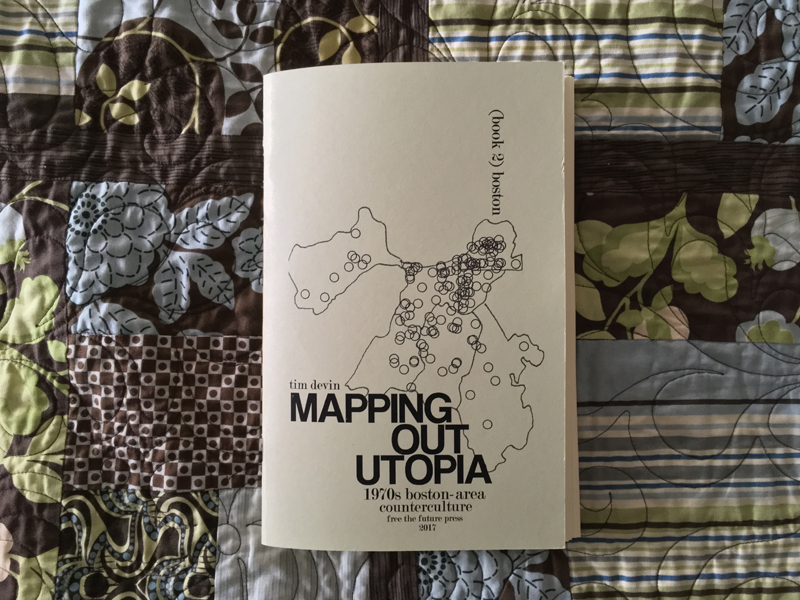 Book 1 offers overviews of almost 100 orgs, and a number of in-depth profiles and essays on topics ranging from affordable spaces to feminism. 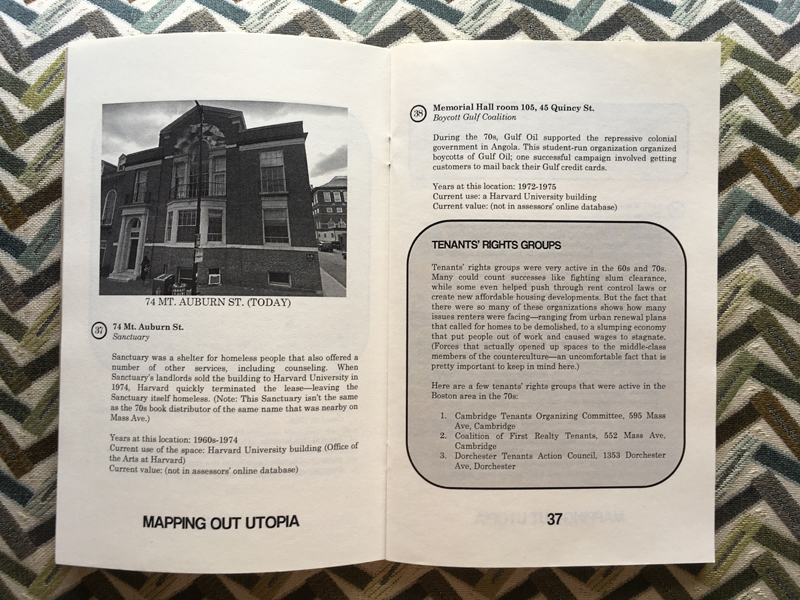 Book 2 offers overviews of almost 200 orgs, eleven hand-drawn maps, and a number of in-depth overviews on topics including Gay Liberation, black separatism, and church basements as countercultural command centers. 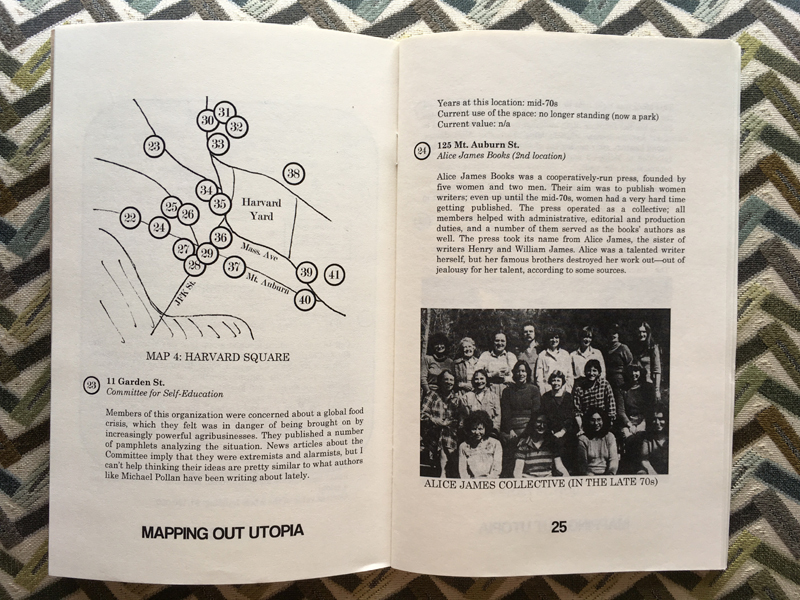 Book 3 offers overviews of about 100 orgs, ten hand-drawn maps, and a number of articles on topics such as environmentalism, the peace movement, and food coops. 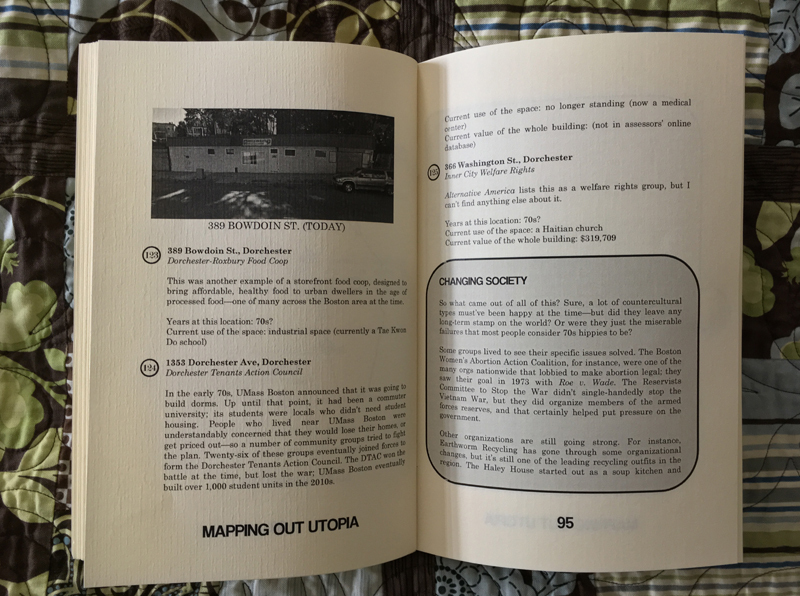 From Operation Black to the Recycling Revolutionary Coop, it's all in here. 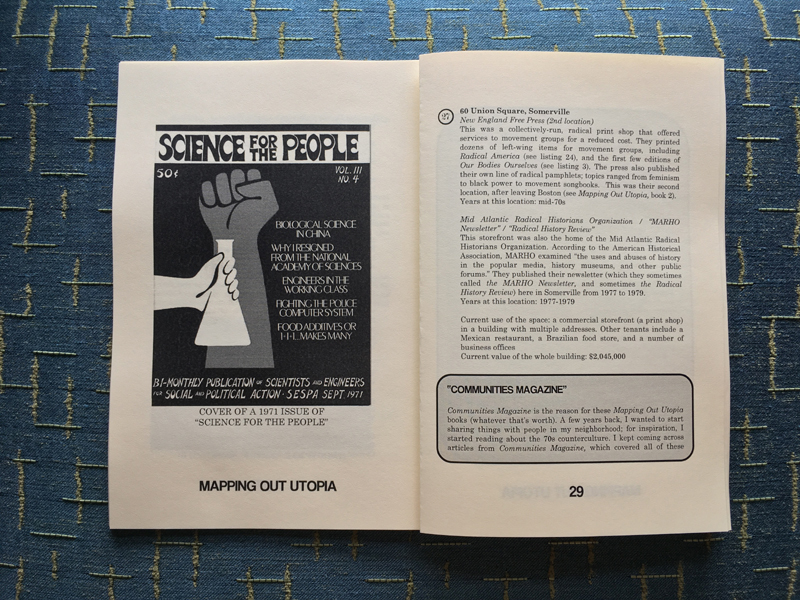 Published by: Free the Future Press. Book 1: 80 pages. 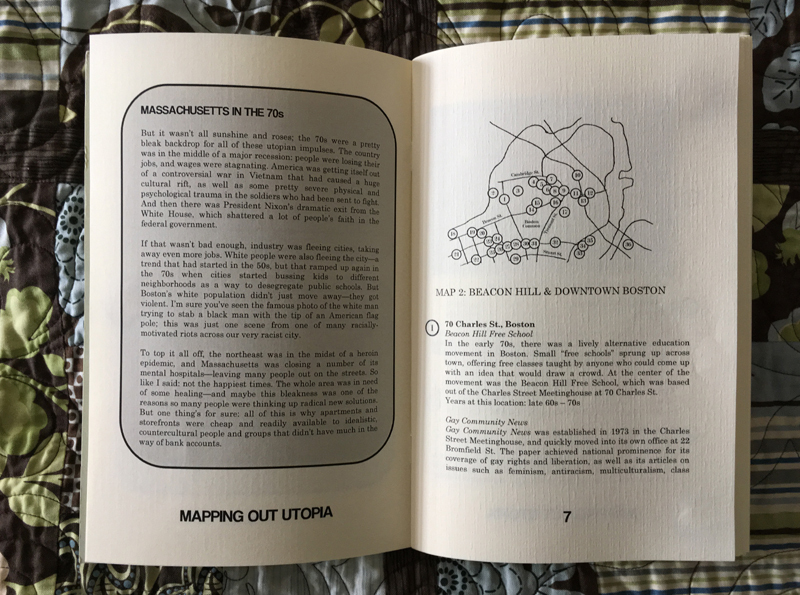 20 illustrations + 7 hand-drawn maps. Brown cardstock cover, with off-white interior pages. 5.5" wide x 8.5" high. Book 2: 108 pages. 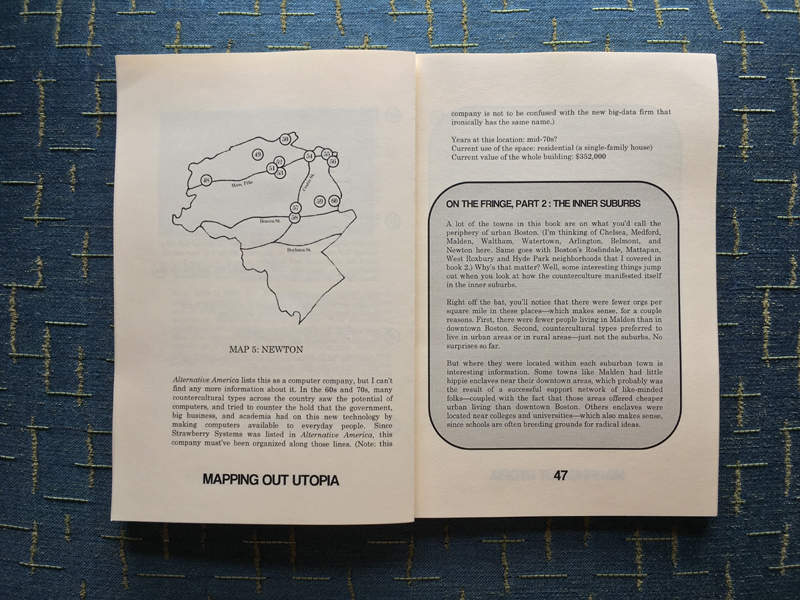 26 illustrations + 11 hand-drawn maps. Green cardstock cover, with off-white interior pages. 5.5" wide x 8.5" high. Book 3 80 pages. 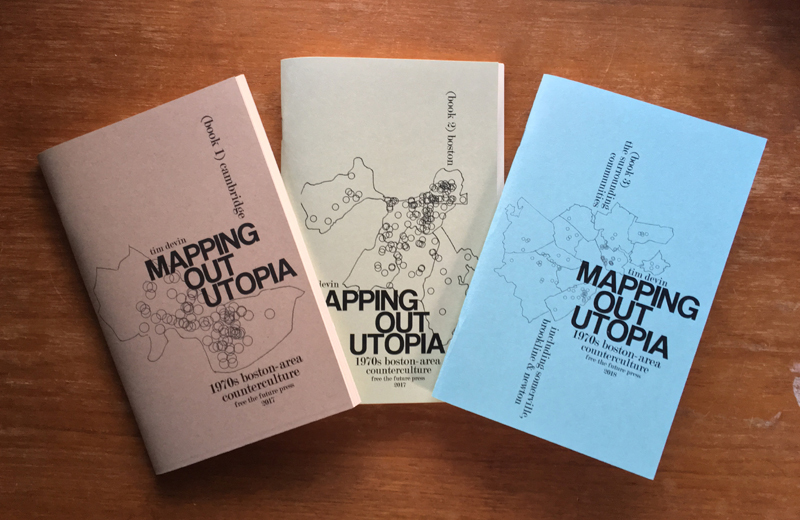 17 illustrations + 10 hand-drawn maps. Blue cardstock cover, with off-white interior pages. 5.5" wide x 8.5" high. Price for all three (save $3): $25.00 + $5.00 shipping and handling in the U.S. only.